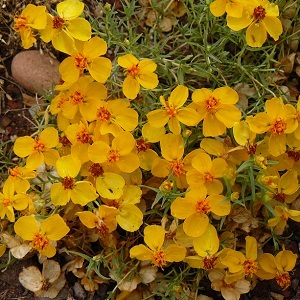 This native Southwest wildflower thrives in very rugged terrain. Preferring hot sunny spots with well-drained soil, the plant will delight you with its bright yellow or golden yellow flowers from late summer until fall. Great for edging, in rock gardens and containers. More info here.